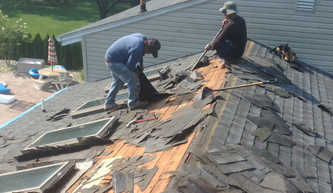 Green Apple Roofing will repair or install any roof type and provide an extended warranty. 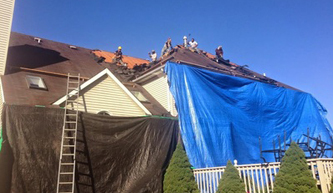 Green Apple Roofing offers yearly and seasonal inspections that will keep you safe from bad weather. 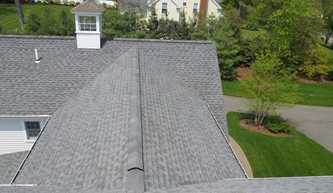 Green Apple Roofing services and installs all roof types from slate, rubber, shingle , metal, tile, green, flat and more. 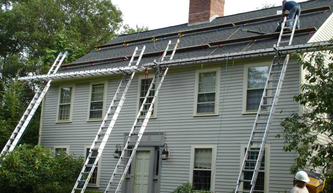 We can help you repair your vinyl siding, clean your gutters or install brand new seamless gutters. Our license number is # 13vh0535820 . For your security, we have provided the link to the NJ Official Contractor Website. You search for our name and view our record. Green Apple would like to recognize the Freehold NJ Township for their excellence in dealing with the brutal aftermath of Super-storm Sandy. They stepped up to the plate and networked with contractors, homeowners, businesses, insurance companies and local government officials in an effort to speed of the rebuilding process. There aren’t many things worse than seeing a puddle of water pooling on your roof or stains forming on your ceilings since these are obvious signs of roofing problems. If neglected, these can quickly become massive problems to your home or business with solutions ranging in thousands of dollars. Water leaks start out small and are hard to notice but quickly become expensive problems. The resulting inconvenience is nothing when you consider the how serious the damage can get. Mold can cause various health concerns like allergic reactions and triggering respiratory conditions. Leaks can cause so much damage that your whole home can become unstable leading to costly repairs to internal structures. Stains are a clear sign of water seeping but also means that the leak must have been around for a while or must be a large size. The best place to start looking for the source is in the attic unless a more obvious source is found. 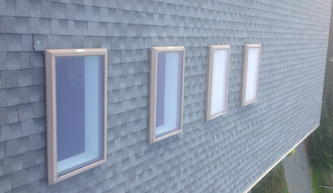 In most cases, shingles are blown away or water starts to make its way in around the vents and trickle into the walls. Be on the lookout for any dripping noises and see if any mold has began forming around the area. Also, make sure to inspect the house once again when it begins to rain to make finding leaks easier. 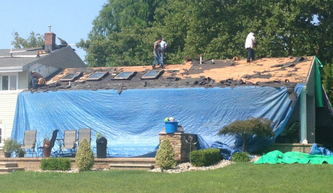 When you do find the leak, mark it with some conspicuous tape and a professional roofing service. Make sure you fix the leak as soon as you can to avoid expensive repairs. Leaky roofs can be big nightmares to homeowners especially if left alone. Make sure you do your part when it comes to the maintenance of your roof. 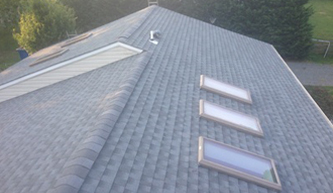 Set up annual roof inspections to be done by professional roofers that you trust to lengthen the lifespan of your roof and to keep maintenance costs low and manageable. 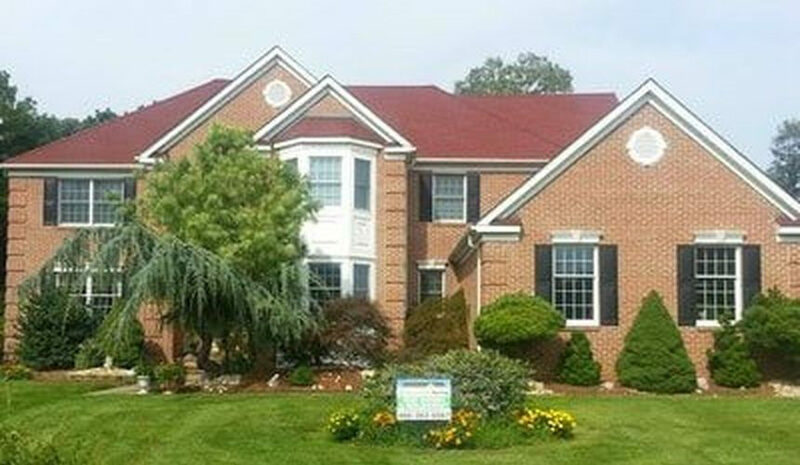 For Freehold roofing & exterior contracting in the 07728 area of NJ call Green Apple today.